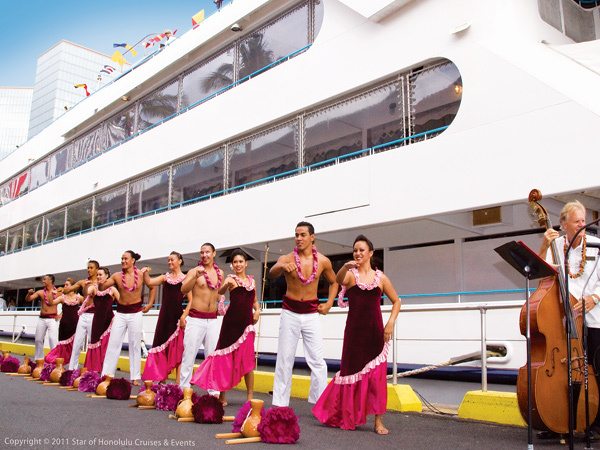 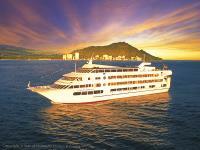 You'll be welcomed by smiling hula dancers as you board the Star of Honolulu for an Oahu dinner cruise you will not soon forget. 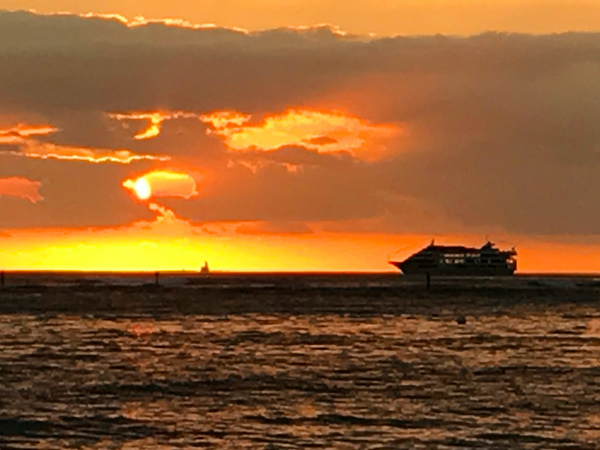 You'll enjoy panoramic sunset views of Waikiki as you dine on a 3-course meal highlighted by grilled filet steak and steamed Alaskan snow crab legs, tropical cocktails, dancing, and our "60 Years of Aloha" revue. 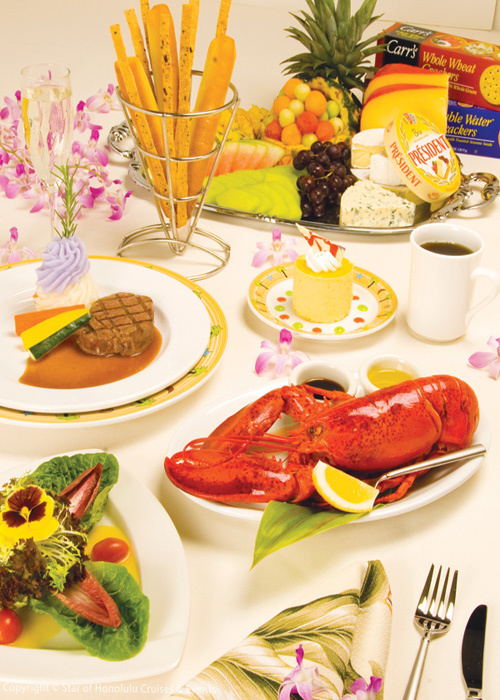 Enjoy casual dinner with a 3-course crab and beef dinner. 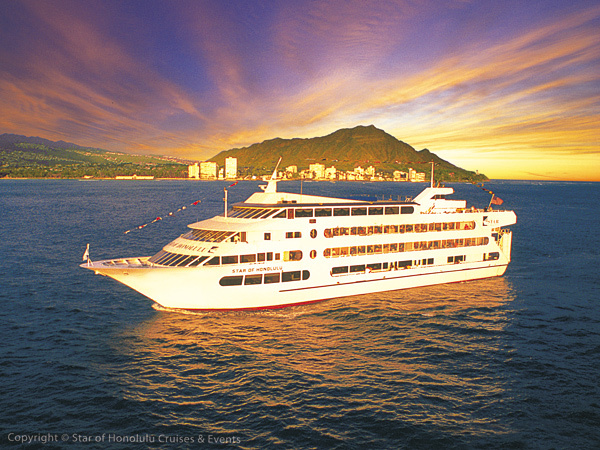 Explore four panoramic decks for breathtaking views of the Hawaiian sunset and coastline. 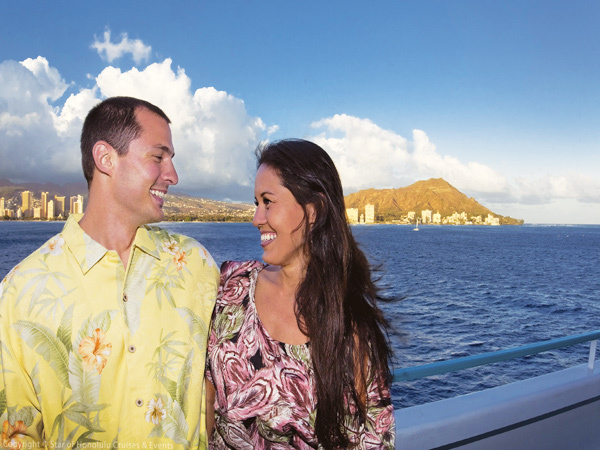 Complete your evening with our magical “60 Years of Aloha” show and dancing! 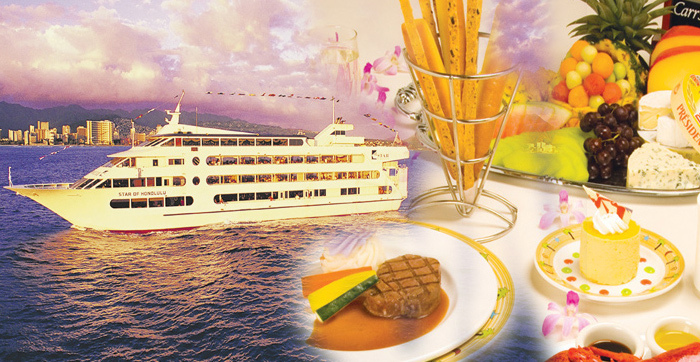 Please note: Menu is subject to change without notice. 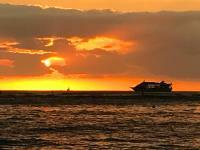 Special menus of chicken, fish or vegan available with 24 hours notice.